This Panduit PLT2I-C186 cable tie is made of metal-impregnated polypropylene for identification by metal detectors in food, beverage, and pharmaceutical industries. The cable tie is heat and chemical-resistant for use in wash down areas. It has a minimum tensile strength of 24 lb. and a bundling diameter range of 0.13 to 2.0 inches. 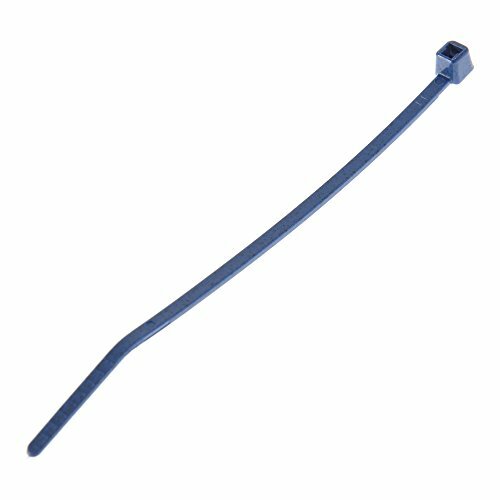 This dark blue-colored cable tie complies with Restriction of Hazardous Substances (RoHS) regulations and is suitable for bundling products in temperatures up to 239 degrees F, and for use with health and safety inspection equipment.